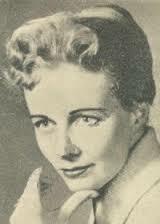 Her first novel, A Candle to Light the Sun (M&S 1960), received critical acclaim and conerns 1930s’ life on the Canadian prairies during the Depression. In his critical essay, “Home Away: A Thematic Study of Some British Columbia Novels” that appeared in BC Studies magazine in 1984, George Bowering cites Blondal’s From Heaven with a Shout as one of eleven important B.C. novels in which central characters are involved in “looking for a home” in the course of making his argument that finding or making a home has been a unifying feature or symbol of British Columbia culture. 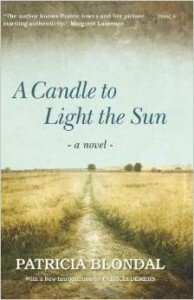 In her novel A Candle to Light the Sun Blondal introduces the Prairie town of Mouse Bluffs, set in the 1930s. Against the vastness of Prairie skies, human existence seems minute and frail all the while clinging to the begrudging land. The novel’s characters struggle to make a living and find small moments of hope with each other and dreams for the next generation. Blondal wrote the story as she was dying of breast cancer, knowing that she would leave behind a young son and daughter. Born in Souris, Manitoba, in 1926 as Patricia Jenkins, she moved to Winnipeg with her family in the 1930s and attended United College from 1944 to 1947 where she was a classmate of Margaret Laurence. It is noteworthy that the somewhat glamourous Jenkins would eventually publish her first novel about smalltown Manitoba life prior to Laurence’s first published foray into the same territory. Blondal’s archives are at the University of British Columbia Library Rare Books and Special Collections. The material held there reflects Blondal’s personal life and work as a writer, radio broadcaster, university student and researcher. 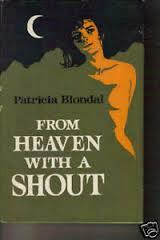 The works clearly show Blondal’s interests in the areas of religion, philosophy, psychology and criminology in the 1940s and 1950s. Records are arranged into four series, spanning from about 1929 to 1963, including documents that were added by her husband following her death in 1959.